Gonzalo Pity Martinez with Atlanta United. 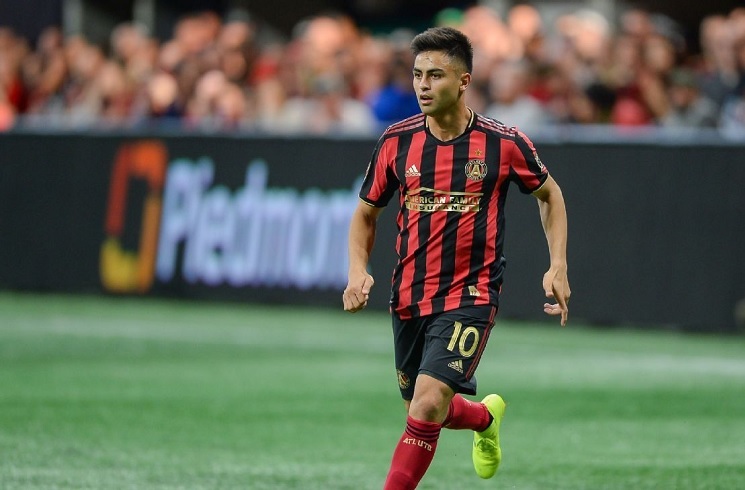 Gonzalo Pity MARTINEZ of Atlanta United could get the start for Argentina. 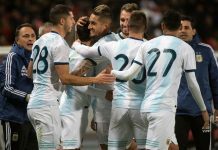 When Lionel SCALONI’s men take to the pitch on Friday against Venezuela, they will be without Angel DI MARIA. Per reports in the media, DI MARIA’s injury appears to have opened the door for Gonzalo Pity MARTINEZ to start. 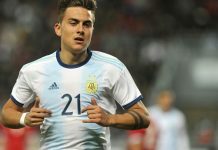 With Fiorentina man German PEZZELLA reportedly still battling an injury, one of Gabriel MERCADO or Juan FOYTH could replace him in the starting eleven. This is non sense. Argentina should NEVER include any players from MLS. Are you f*cking kidding me?????? F8ck you Scaloni!!!!! Gonzalo montiel won the RB position from Saravia. I m glad that Reynoso is coming back, A player to watch out for, An Enganche. He will be a one to watch out for us in the future. Note: Isnt that Goal similar to Messi’s against Real Betis. No surprise for the defense. I expect to see Foyth because he should be the fastest CB. This midfield is not solid enough defensively, I’d put Zaracho on the right who has similar task as Roberto and Rakitic in Barca for Messi. Pity without a true fwd is less efficient because nobody will receive his crossing. I’d go for Benedetto instead of Lautaro and Suarez. No, Foyth is OK in speed. Lisandro not tall enough as CB, I would put him as left fullback. He knows reading the game and has great passing skill, I think he may be used as a CM one day, just like Lahm and Kimmich. Mammana? 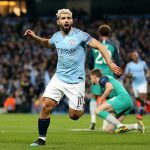 I like his technique but according to what I saw with Lyon few years ago, he wasn’t tough enough for a CB. I’d rather use him as right fullback. 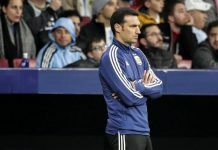 This should be the perfect time to test dybala and Messi , I dunno know what scaloni is thinking , man !!!!!! Yeah try him as fwd and Messi as 10, half 9. So it seems like it’s going to be a mix of 4-3-3 and 4-1-4-1, Scaloni’s prefered choice in his first few games. Mati Suarez or Lautaro would have a lot of job to do in the wider areas, if it’s the attacking 4-3-3. We’ll have to wait and see. Glad to see Ayala’s face among the coaching staff, almost forgot he was recruited just a few months ago. Ayala and Samuel, a dream defensive lineup! 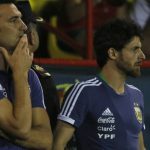 Any idea when Aimar will be back with the senior team? Will he be there for the Copa or he’ll be sticking to the U17s and the U20s duties? This looks much better than the previously rumored, Perreyra makes a huge difference, Either Pity or De Paul will be fine with me. Seems that Pereyra and Pity are his 1st choices as right/left midfielder. Seems he tried already against Mexico. Why not de Paul ? Pity more creative and more winger too. De Paul is more a left forward like Joaquin Correa, better in a 433 system.